How are the blank cutting tolerances? “Mclk Sync Deg” stands for Machine clock synchronization (in °). You can shift the clock/cycle signal (0-360 °) in order to get a proper synchronization of the graph to the measured canbody. a bigger value to the right. The graph is not showing any values / no picture at all. 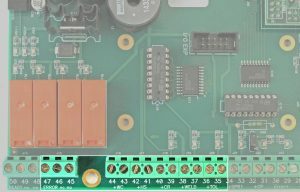 The first parameter “Mclk Sync Degree” has a “dead area”, where the tool sensor detected the gap between the two cans, rather than the cans. As a result, there might be no graph showing. No graph showing means the system is not detecting that a can was welded. ➔ If no graph is shown, try to enter values in large steps. You should now see a graph but might have to adjust the measured area. Please see second problem for the resolution. The graph of the G-Sensor does not show a steady graph but shows greater fluctuations (= can gap). 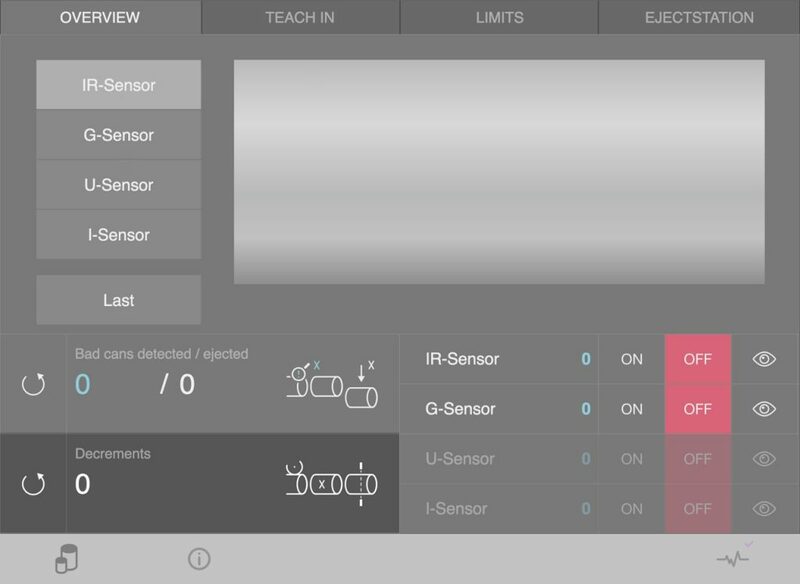 The G-Sensor is not correctly installed and measures outside the canbody cycle. ➔ In order to remove the greater fluctuations out of the graph-frame, increase the “Mclk Sync Degree” value to shift the graph to the right, and decrease the value to shift the graph to the left. The Pacemaker™ HF has detected a missing phase. Check complete wiring, Are all clamps tightened? How long does a Pacemaker repair take? For a Pacemaker-repair we calculate / estimate a “cycle-time” of 2 weeks, including final testing and packing. If a faster service is required, extra charges occur. In case the number of incoming repair jobs is unusual high, it might take more than 2 weeks. Note the adjustment of the clearance of the roller after the BIG8 monobloc cutting heads is ELEMENTARY to prevent bow cuts! 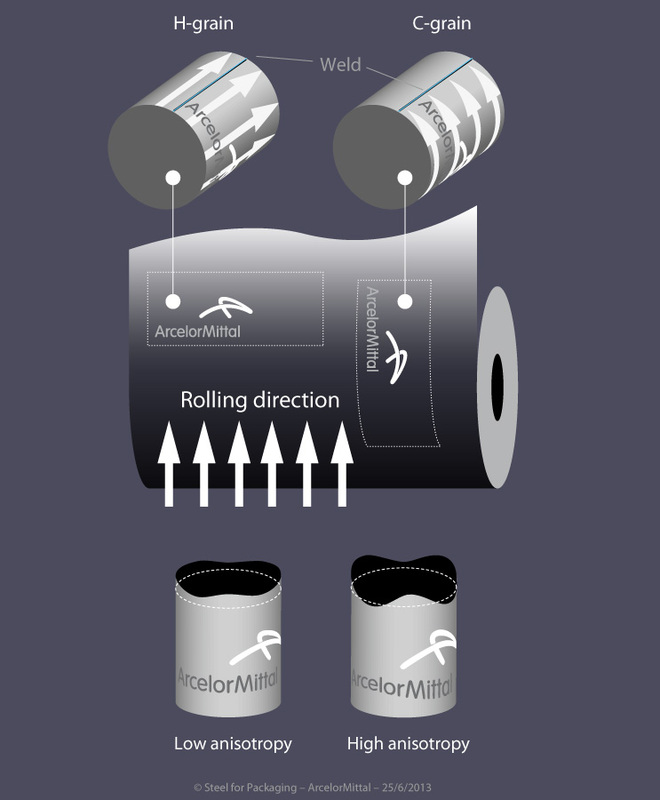 Check if the roller is not “tilted” (and thus one-sided “in the air”), refer also to manual of your slitter how to adjust the roller. 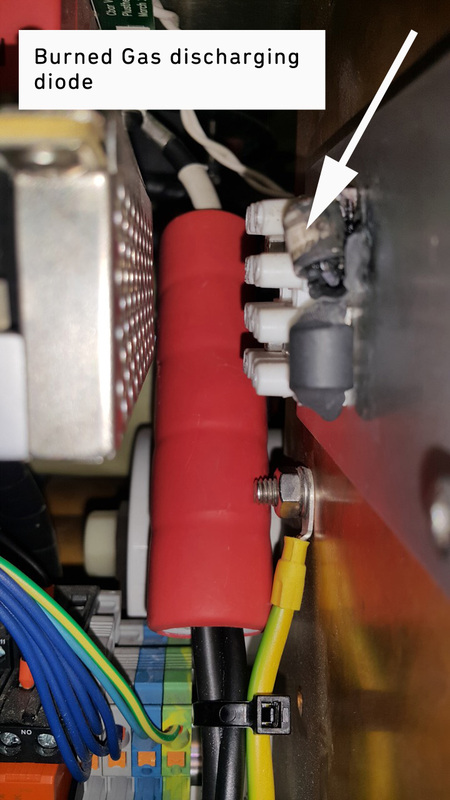 Gas discharging diode burned immediately if curing ON! The decrement counter shows the number of cans between the welding station and first light barrier of the eject station. If the value is wrong, the ejection of cans is out of sync with the faulty products. The reason for a wrong decrement counter can be a reset during production. Attention(! ): Reset the decrement counter only if the production is stopped and no cans are between the welding station and eject station, NEVER during production! This is important to avoid that bad cans go to the downline. The decrement counter is not stable, which leads to continuously smaller values during full production. 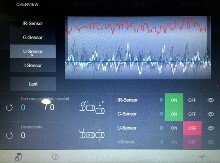 Tooling sensor signal is not stable. The tooling sensor might not detect all cans properly due to the distance between the cans and sensor. ➔ Please check the distance of the sensor to the can, it should be as close as possible without it touching the can. Cycle signal of machine is not stable. ➔ Check the cycle signal: If the machine signal comes from a sensor, check sensor settings or replace sensor. Burrs below 20% of tin plate thickness ! Welding pressure 2.6 (aerosol) to max. 2.8 bar (beverage, food), equal to 45 – 48 daN. To move tooling (which air regulator find on touch screen: “Air”, page 5/8) pressure should be 3.0 bar. To lift up guidance channel (page 5/8) pressure should be 1.0 bar. Take off the upper and lower screw off one by one, check the insulation washers, if they are squeezed too much, change each them! Especially the last 100 mm, incl. front Z-bar tip (called nosepiece), maybe they are worn out. Sometimes some tin deposits can slow down or disturb the movement of the tin plates -> can gap unsconstant, cold begin/end. They have to be clean and the ground of each groove must be straight! Reset the calibration crown /tooling: Check the play of the top diabolo roller bearings. 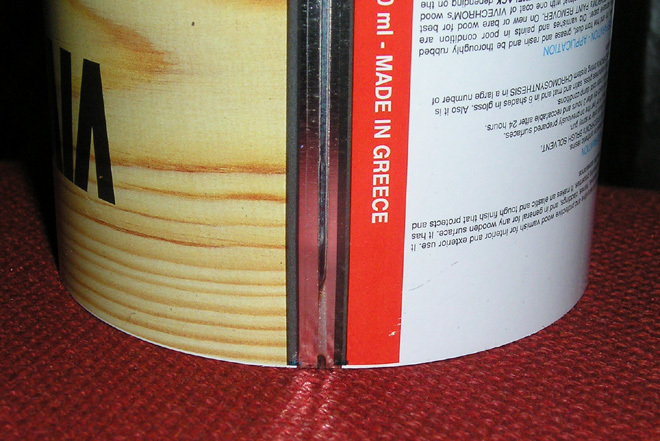 The height of the tooling should be between – 0.2 and + 0.2 mm, shown on the handle/shaft underneath the tooling. If needed, move the height of welding roller again, till the roundness of the can is sufficient. Angle: Normally not necessary, as long as nobody touched/dis-adjusted red marked screws on the support). 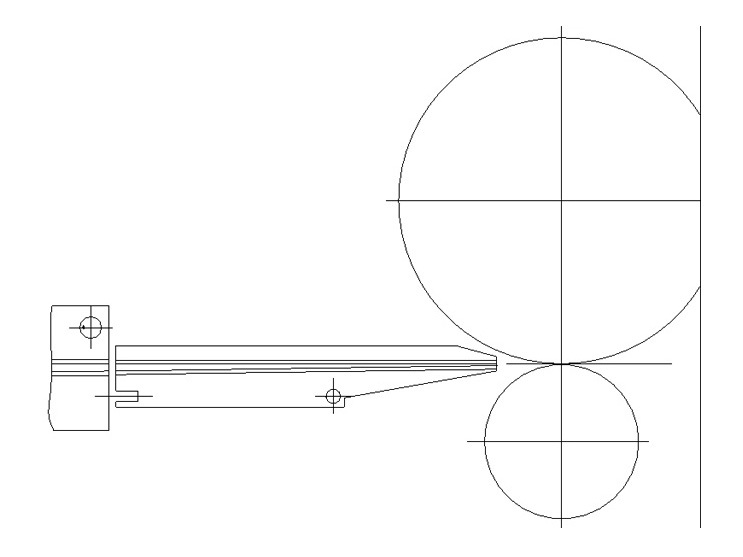 Horizontal axle: Make sure that the height of the pendulum axle is parallel to the welding roller axle. Use for this setting a precise level, and level the shaft of the pendulum rollerhead according the level of the welder, or do it according the manual, using the delivered gauge set. Use the delivered stainless steel gauge, put it into the tooling, and let both belts (of the OHC) touch that gauge slightly. 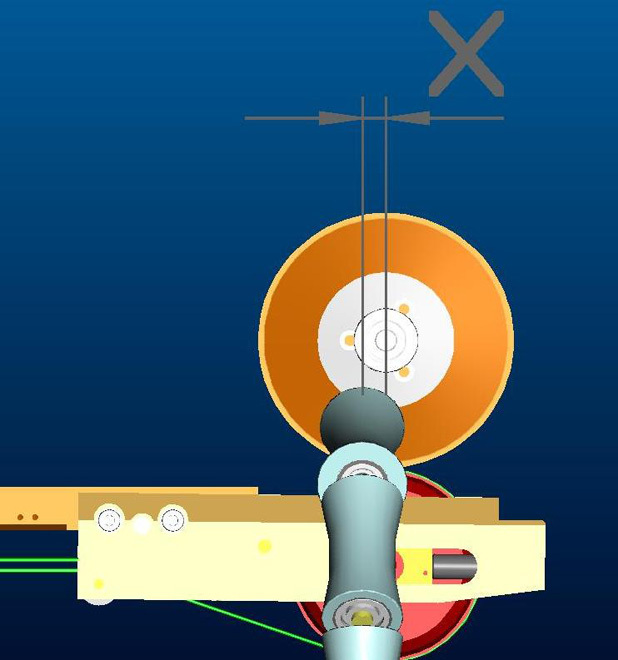 Position of diabolo center between 1–3 mm before lower weld roll center. Belt for pendulum rollerhead should be tensioned tight. 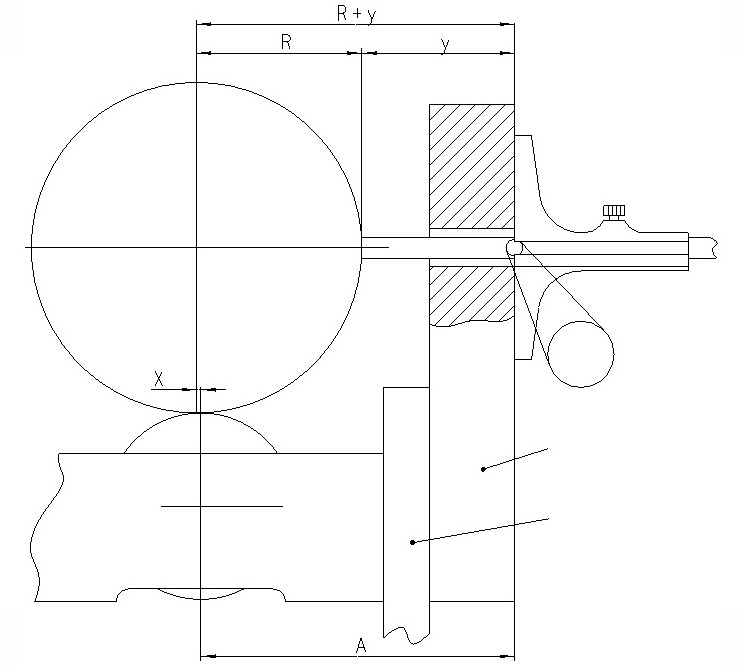 Check the overlap only by an internal diameter gauge, with a dial indicator to read result. Diameter tolerance should not be higher 0.1 mm. Check the tin flow after the upper, and after the lower welding roller on the copper wire. Move the pusher finger to the very front, and measure the distance from the pusher plate, until the center of the lower welding roller. Now deduct this measure from your cutted tin plate height and you know how many mm the tin plate gets pushed over the center of the lower welding roller. Attention: If you have spatters on the beginning of the can, which show backwards, move the transport carriage backwards. Do that over the can height setting on the touch screen. Check condition of synthetic roller. 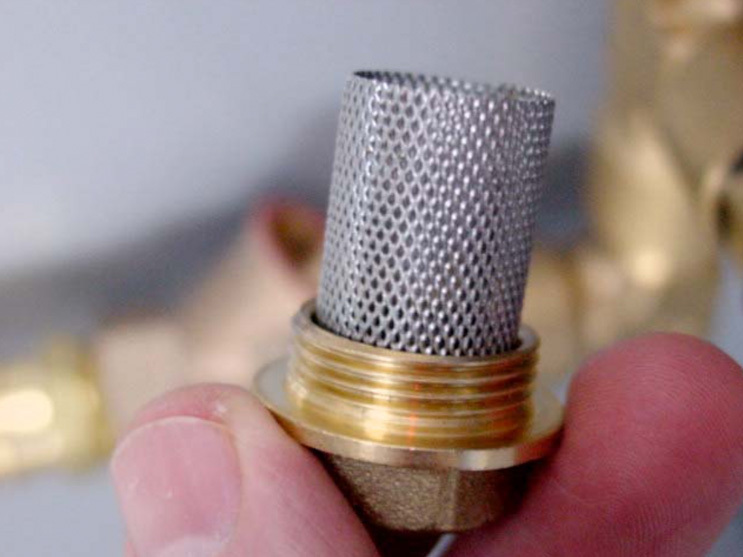 Ensure that application surface is smooth and does not show any defects > replace if required. > verify speed setting by measuring exact velocity, picking up speed of application surface at synthetic roller. Apply slightly more lacquer on outer side seam. Please follow therefor point 7.2 (Adjustment of the lacquer quantity) in the provided instruction manual for the ORC. As a last precaution, check the viscosity of your lacquer by using the DIN 4 cup supplied. Recommended viscosity: 20–25 seconds. Depending on type of lacquer used, add corresponding thinner / water in order to achieve required viscosity. 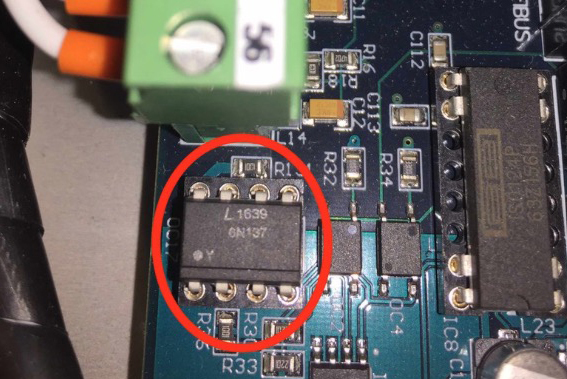 Why use a delta / triangle motor connection of 230V in combination with a 400V frequency inverter? Because of the 87 Hz technology. Read more about it here. IMPORTANT: The inverter parameter setting must be exactly same like before (original setting). Otherwise motor will burn! Weld seam thickness and necking tool tolerance? Reference for thickness of the welding seam is related to thickness of material (this value is variable, depending on the overlap of the welding seam, material as hardness and tin coating, welding pressure, welding current and welding frequency). How to check whether the powder is properly cured? Is there a conversion-table for the imperial to the metric cansizes and viceversa? Which is the minimum diameter of the various Can Man seam-welding wheels/welding rolls? 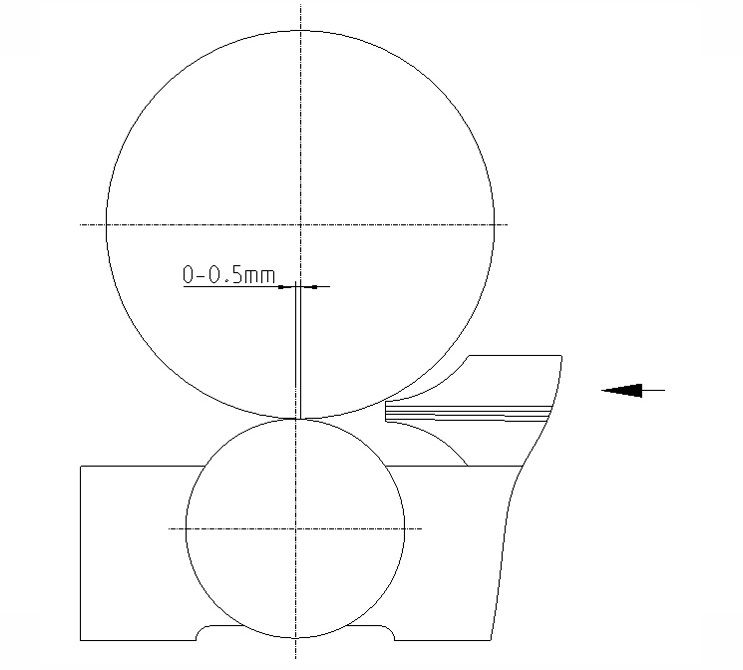 How can I calculate the canbody dimensions? Use this Excel-Form for your calculation. What specifications are requested for the blank sheets? 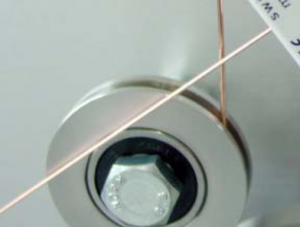 What specifications are requested for the copper wire? How to measure and qualify my blanks / slitter? Which rolling direction is H-grain and C-grain? 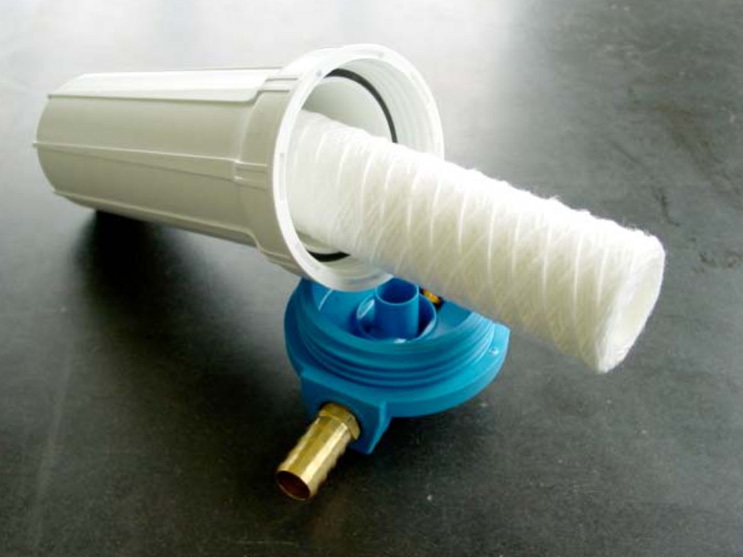 What is the recommended forming gas mixture for the use with oxide free gas applicators? feel hot spots in the entire secondary circuit by hand or use IR camera if available. LED on the converter does not light up! If LED is red, check error code with the keypad. NOTE: In case you have to replace the converter, make sure you load the default parameter setting. All the latest models, do have the parameter setting in the electrical scheme – if you do not have the parameter, contact Can Man by filling out a ticket in the support section on our website. Do you have a table with the wire diameter and their corresponding wire width and the depth of the roller groove? I have cold welds after a couple of minutes of production and must increase the current. Why is that? Your cooling system has to be checked and / or one or more circuits need to be cleaned. 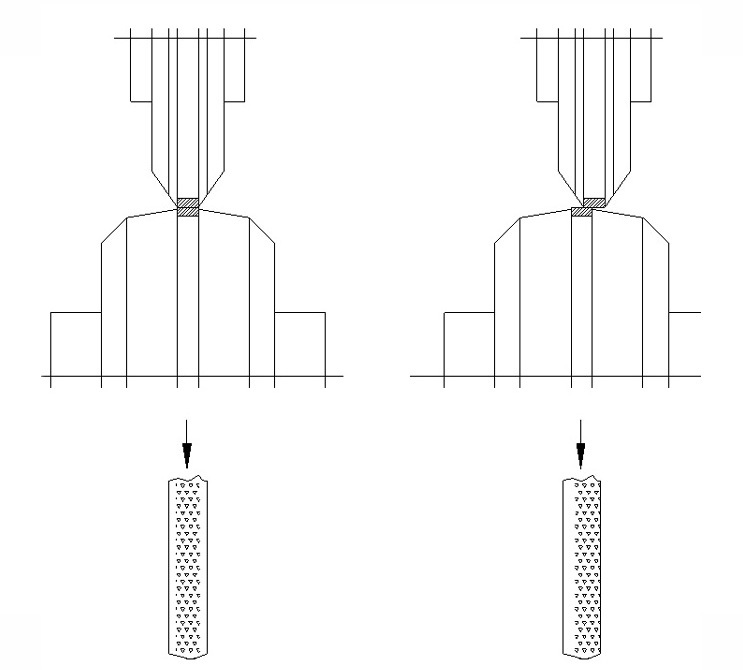 If the temperature difference exceeds a certain value, mechanical mis-alignments may occur which can affect the welding geometry. Obviously it is not the same when a welder is cold (start of production) and hot (after up to1h of production). NOTE: With Can Man TempGUARD™ system, this can not happen anymore. Measure the overlap by reducing the welding current until the sheet edges can be broken apart to check, where the overlap is incorrect. NOTE: Machines with a PACEMAKER™ do have a „overlap check“ in the menu! Check the condition to the nose piece (even maybe the Z-bar). Check the „clearance“ of the calibration crown roller (also called hour glass or diabolo rollers), with special attention to the upper ones. Check the position of the exit conveyor (weld a can without the conveyor and see the difference). Check whether the idler wheel in front of the lower welding roll is in correct position, or whether the circlip is missing (Xplane only)! If you still couldn’t resolve the problem, read more here. How to check welding pressure assembly? 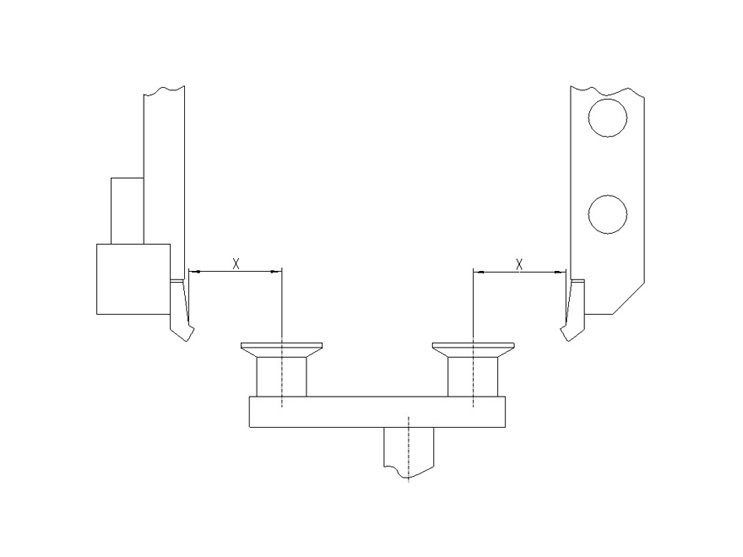 Remove welding pressure and check if deviation of upper (outer) rollerhead (in most machines the pendulum rollerhead) is working properly (free of any mechanical friction or resistance)! 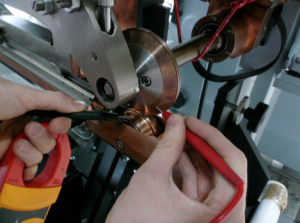 Follow 1. and check „copper belts“ (the flexible power conductors between the rollerhead and the upper bus bar) and that they are not give mechanical resistance (counterforce) to the welding pressure. Following 1. and make sure that the „lift“ of the upper rollhead is not disabling the welding pressure to be fully obtained to the lower welding roll. This can happen if the both welding roller diam. are smaller than allowed. Change to another type of sheet and / or tin coating and monitor the difference. Make a „screw check“, especially of the secondary power circuit and the z-bar assembly. Check if any of the welding roller bearing have to much clearance (change them if so). Check the condition of the pendulum rollerhead. Check proper function of welding pressure assembly (see also „problems with welding pressure“). Check welding geometry in general. What are the adjustable parameters of the welding geometry? I feel that the welding sounds unusually loud (screaming). What can that be? It might be that you‘ve changed the type of tinplate (hardness or tinlayer). 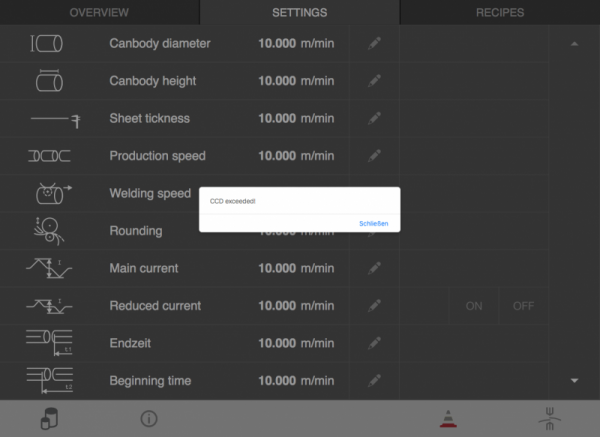 It might be that you have changed the welding frequency. I have too many „splattering“ in my welder! 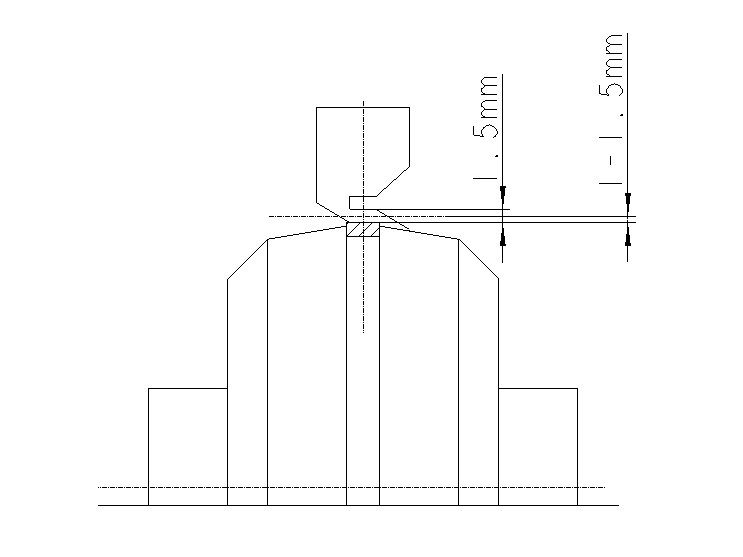 How to set the nosepiece height on welders with butterfly seams? According to the drawing below. Why is the beginning and the end of my welded canbody squeezed too much? The gap between the cans is not constant (see picture below). See also following FAQ-article Why can’t I keep the distance from can to can constant? Why can’t I keep the distance from can to can constant? 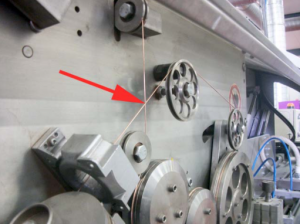 Check clearance (wear) of final canbody pushing system. Check blanc cutting tolerances and in particular dimension A on a series of sheets (3-7 sheets depending how many knifes are cutting dim. A on your slitter). Check the speed of the exit conveyor belt(s), which need(s) to be constant and in any case 2 – 5% faster than the actual welding speed. What to do when the overlap is gone in the middle of the can? Check calibration crown adjustment, it is probably to loose. If 1. is checked with mandrel and you still have the same effect follow What to do when the overlap is too big in the beginning and / or too big in the end of each canbody. I have very irregular seams, what could be the reason? What is the “wire elongation” and how much should it be? What to do when the overlap is too big in the beginning and / or too big in the end of each canbody? How high is the welding plane, measured from the ground, on your welders? Please note that those are minimum heights! My sheet destacker (downstacker) misses to feed body blanks from time to time. What is to do? Check for proper adjustment and alignment of separator-notches, rest bars and sucker bar. What are the technical and safety specs. 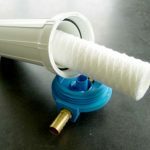 of the emulsion, Can Man is using for cooling the mercury free roller head? What is the formula for the welding speed and the welding frequency? How to measure the wire correctly? NOTE: Make sure that the wire is not touching anywhere. Only a perfectly set and maintained canbody welder, can assure perfect welding! A weld monitor is a pure “measuring instrument”. 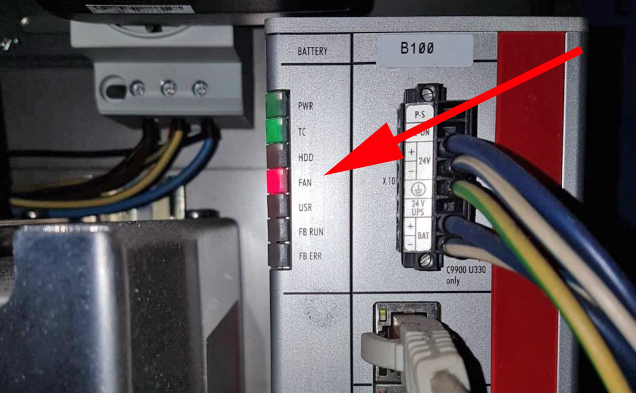 Check this specific wire crossing (red arrow). The wire might touch each other here! Switch OFF the QM eject function and record the curve. 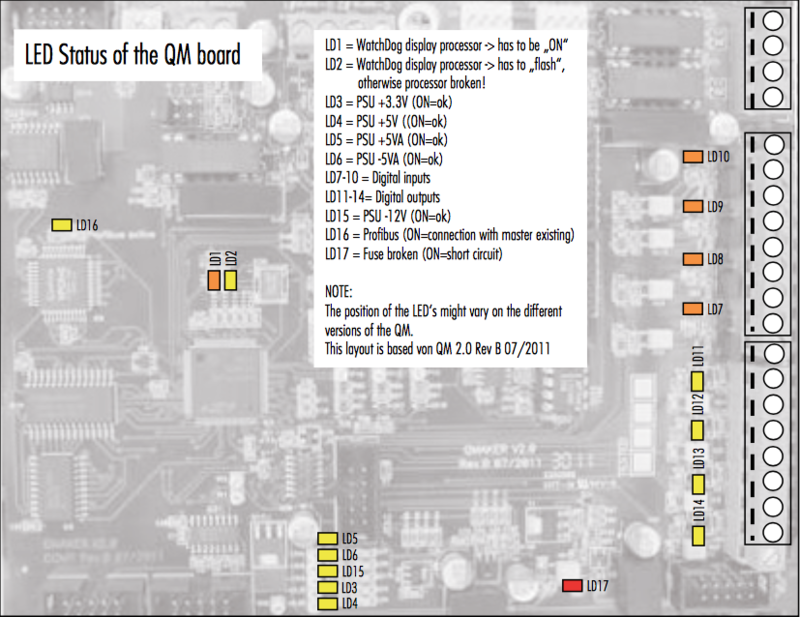 What does each LED on the Qualimaker board stand for (LED status)? How can I test the voltage pickup? 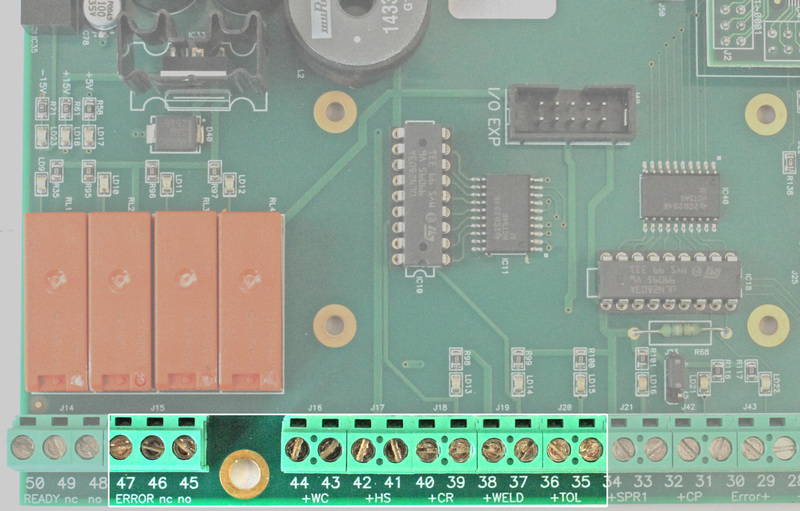 Check the connection from the voltage pickup to the Qualimaker board. Put an isolation between the roll and the voltage pickup. The lower voltage pickup should be isolated to the Z-bar. Measure from the upper voltage pickup to the Qualimaker clamp 125/126, one off them should be 0 Ohm! Cause may be a short. Make sure that the bracket of the IR-sensor is complete isolated. No bolts etc. should touch the rocker arm or other parts. 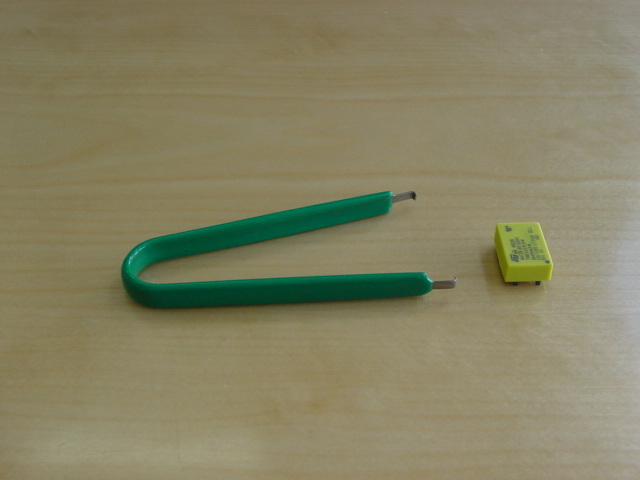 Check if the voltage pick – up “tongues” are worn. If they are bent; change them, do not attempt to bend them yourself, they might break! Eject valve/cylinder every time “ON”. Counter of eject station works normal. Replace the small print for eject station. What does a flashing LED (at the reset button) mean? The power percentage is too high! If the power percentage rises up to 96%, the LED is flashing. In this case the pacemaker does not have enough spare power to regulate the current properly. To solve the problem, reduce current/frequency value or use a highertransformer step. The actual value of the weld power limiter increases with the heating of the machine. Readjust the weld power limiter, to a higher value. Observe the “Max” value from a “cold “ start to a “warm up” machine during production. See also note below. Power limit to activate the weld guard (stitch welding). Normally 5 – 10 % more than the actual “Max” value during production. 0 = Weld Power Limiter Off ! How to install a reject station? Suddenly the welding current is gone (no welded cans), but no error message is indicated. The display shows the set current value, but the duty cycle is very low or 0%! Short circuit in the welding transformer! DO NOT ATTEMPT TO SWITCH “ON” THE CURRENT ANYMORE! Further attempts to switch on the current, can destroy or damage the semiconductors (IGBT) in the Pacemaker! What’s an overvoltage suppressor? Is this a built in standard and how does it look like? An overvoltage suppressor (or surge suppressor) is an appliance designed to protect electrical devices from voltage spikes. A surge suppressor attempts to regulate the voltage supplied to an electric device by either blocking or by shorting to ground voltages above a safe threshold. These surge suppressors are built in to the latest Pacemaker models (from 2009). Check, if one or more plugs of the surge suppressors are red/defect. Replace the red plugs. To do an overlap check set “overlap check” to “ON”. The reduced current will be set automatically to 0A. In the same window you have an additional value. If you set this for example to 10ms you have more unwelded area at the beginning and end of can. NOTE: If you use “overlap check” function is not necessary to switch “Ired” to “ON”. Some single welding dots are cold welded, although the seam looks very good. How to change the battery of the Pacemaker? 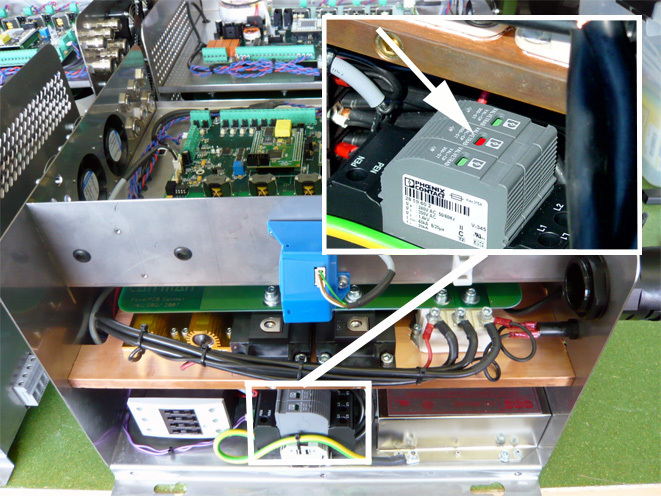 The Pacemaker™ static welding inverter has a RAM battery for data retention and clock-buffering at power interruption/disconnection. The battery has a limited life span (about 5 years) that decreases especially without power supply (controller off). To prevent loss of data, the battery must be replaced early enough. The parts can be ordered in our webshop or with prepared form. Second light barrier is always ON. Sensor dirty or bad adjustment. “PM send error” / “PM receive error” or welding parameter don’t match after starting the machine. How to change the battery? See FAQ How to change the battery of the Pacemaker? Where do I find my software version info? When you start up your Pacemaker, the software version will be displayed during the boot process. Using a CM16 welder you will also find the info by pressing the key “down”, since the display is the same as the handpanel of a PM. Tip on the *eye” icon and the Pacemaker software version is displayed on the bottom line. Tip on the “eye” icon and then on a second “eye” icon to get to software version info on the bottom line – check also your manual book 1 – chapter 4.6. how to find the info. Check if the wire speed is stable and not too slow? Sometimes two cans might be welded together (no gap)! Check if the speed of the exit conveyor is fast enough? The gap between the cans must be minimum of 10mm. Clean the first light barrier and the reflector and check the adjustment! Power percentage is 100% and I have a low current of only a few amp’s? NOTE: The reason for the low current is due to an open circuit. The wire might be also hot in this case. If you have in general a high power percentage you might reduce the frequency. 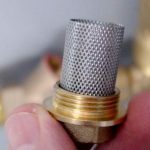 How can I check, if the magnet valve is blocked? Scroll down in the display menu until you reach the temperature display. Observe, if after crossing the switching threshold, the temperature doesn’t change, that the solenoid valve is blocked (when the 2nd thresholds are reached the message “over- or undertemperature” will be displayed). NOTE: The error message “Ths too low (Ths = Temperature Heatsink)” might be an indication for a contaminated valve. Exchange the contacts (CM article 005640) of the main contactor, or the complete main contactor (CM article 003217). (NOTE: This is only applicable, if the error message shows up, when you start up the Pacemaker). 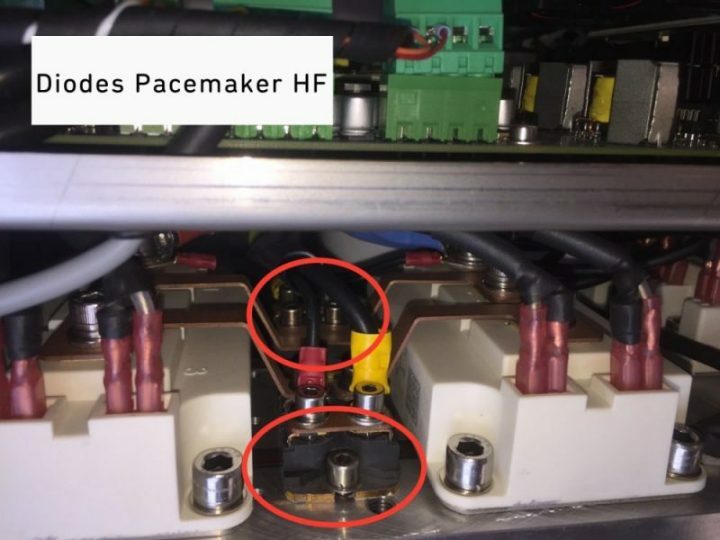 Pacemakers options to connect the output of the weld power limiter to other systems/controls (i.e. can rejection control). E-Relay of Pacemaker does stop the welder if weld power limiter is active. 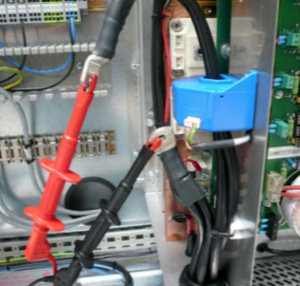 To connect, use the clamp No. 45, 46 and 47 (potential free relay contact 47=>com, 46=>nc, 45=>no). To use this function, the parameter “Wld fault” in the Pacemaker settings has to be set to “E-Relay”. If weld power limiter is activated, the E-relay do switch on, welder stop and must be reset on the Pacemaker display before the welder can be restartet. Of course the operator has to check the last welded cans to make sure that no unwelded cans go to the downline. This output is switching on if the weld power limiter is active and can be used also to activate an ejector or other function. The next can will be welded normally and +Tol output will switch off automatically. If you want to use that output, you can change the parameter “Wld fault” to “nothing”. In this case, the E-relay will not be activated and the welder can run continuously without to stop if the weld power limiter detect a can. Of course you need an additional logic for the eject timing and eject the right can. 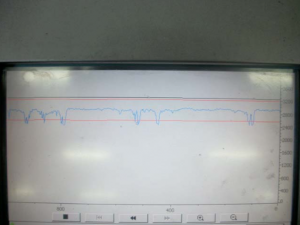 Example: CR 50ms => Pulse of 50ms on CR output if weld power limiter detect a bad can. Check if there’s enough the “contact pressure” of those tongues or if they are bent. If they are bent; change them, do not attempt to bend them yourself, they might break! e.g. lower tongue has contact with power window! check wire – usually after a short circuit the wire is damaged! the wire might be damaged/broken within the Z-rail. Check the „over voltage limit“ in the basic-setup. Check the “voltage limit” in the basic setup. Is the wiring between C-bar (voltage measuring) and HF controller correct? Check the voltage signal over the C-bar. The voltage peaks should not be higher than the “over voltage limit”. 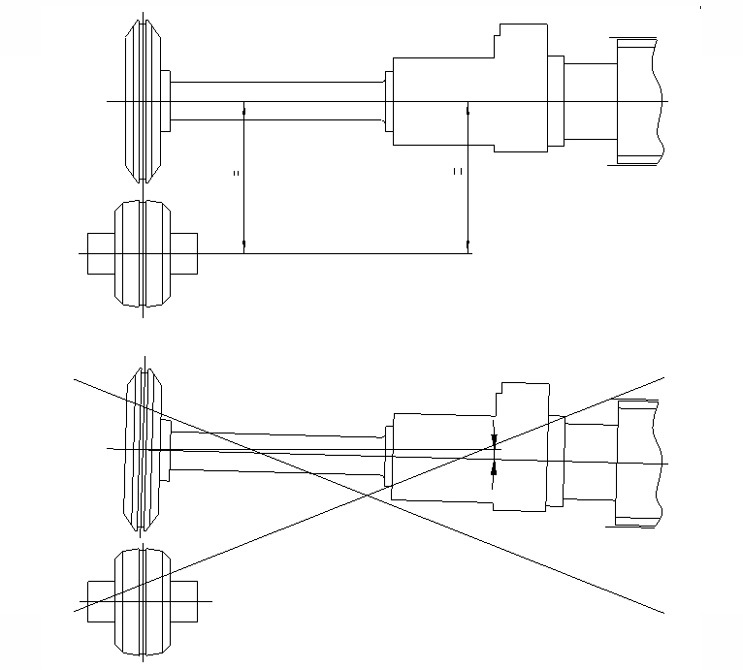 To measure you need a scope meter and a differential probe or a scope with isolation to ground. 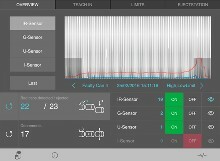 See the pictures of tools, where to connect and how the signal looks if everything is fine. Check if the IC OC17 (Type 6N137) is faulty. Try to start the generator. If not successful, request support. Check function and the contamination of the ventilators. If necessary clean or change them. If the voltage value drops below 350 V the error message “Phase voltage error” shows up. Check the main supply: L1 / L2 / L3.